Emmanuel Alayande College of Education result checker portal – How to Check EACOED Result Online | The Emmanuel Alayande College of Education first (1st) & second (2nd) semester test/examination result can now be accessed online via the school portal/website for the academic session. 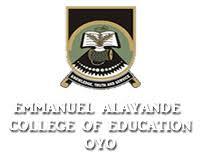 www.EACOED.edu.ng result: The management of the Emmanuel Alayande College of Education has enabled its result checking portal for NCE, pre NCE, Degree, Direct entry, B.Ed. (Part Time, Regular, Weekend, Full Time) students to check their 1st & 2nd semester, test & others result online. On that note, students of the College should follow the procedures below to check their results and learn how to calculate their GP, CGP, grades & score online. You can view your results online via the institution’s portal. Please note that results appear online as they are uploaded. In case you check and it is not online yet, you may check back. However, if you have any feeling regarding the Emmanuel Alayande College of Education result checker portal, Please kindly DROP A COMMENT below and we will respond to it as soon as possible.